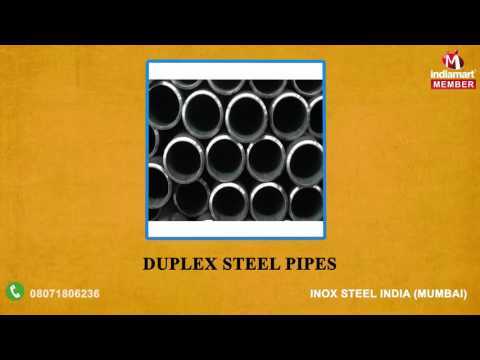 We, Inox Steel India, established in the year 2007 at Mumbai, are among the topmost manufacturers, suppliers, exporters and importers of a wide range of supreme quality Industrial Products. The industrial product range offered by us consists of Stainless Steel Pipes, Stainless Tubes and Stainless Steel Rods. These industrial products are manufactured from high grade stainless steel that is sourced from certified vendors of the industry. Manufactured as per the industry set norms, these industrial products offered by us are known for their impeccable finish, high strength, resistance to extreme temperature & pressure and robust design. The industrial product range offered by us is highly demanded in various industries such as aerospace, oil & gas, chemical, food processing, automobile industries. These industrial products can be availed by us in user-defined specifications. New Zealand, Europe, Germany, Dubai, Singapore are our importing countries and export our products globally.